The truest line in Spike Lee’s newest film, BlacKkKlansman, comes courtesy of the president of a college’s Black Student Union. She’s talking to the title character about W.E.B. Du Bois and double consciousness. The two biggest black celebrities in America, LeBron James and Beyoncé, are both taking big social and artistic swings at the heights of their careers. And they’re doing so as deeply informed, politically engaged citizens, neither of whom went to college. Their actions aren’t defined by vanity or solipsism but by a deliberateness that challenges their audiences to keep up. They have, as sociologist Tressie McMillan-Cottom would say, done the reading. Vogue published its September issue starring Beyoncé, shot by a photographer of Beyoncé’s choosing and accompanied by Beyoncé’s own words. 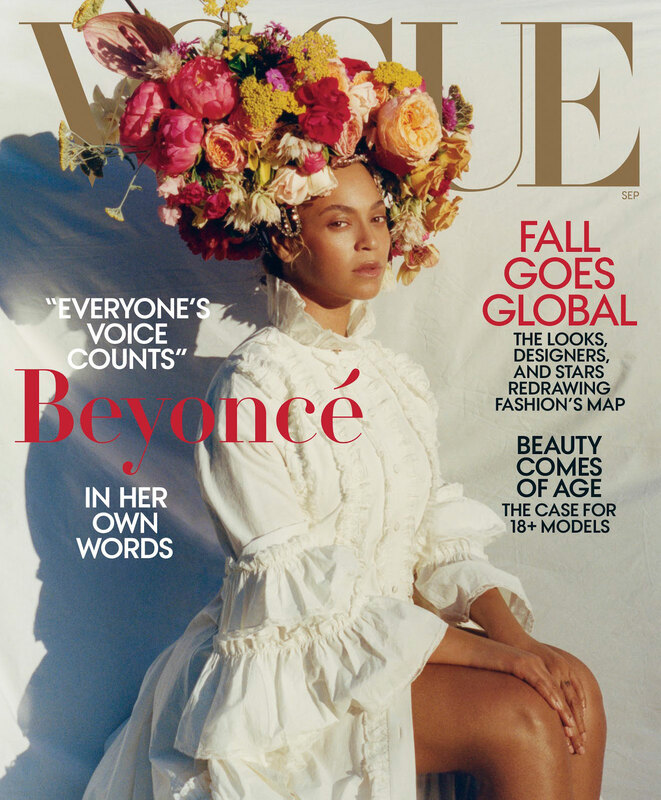 On Monday, Vogue published its September cover — well, two covers really — both starring Beyoncé, shot by a photographer of Beyoncé’s choosing and accompanied by Beyoncé’s own words. She had a few things to say about body acceptance. “I was 218 pounds the day I gave birth to Rumi and Sir,” Beyoncé, 36, wrote. She explained that she had toxemia and that she’d had to have a cesarean section to give birth to her twins last year. “I think it’s important for women and men to see and appreciate the beauty in their natural bodies,” she continued. “That’s why I stripped away the wigs and hair extensions and used little makeup for this shoot. In 2007, a too-human paunch threatened to disrupt the impossible perfection of Vogue editor Anna Wintour’s September issue. The magazine had captured a lively composite shot of a documentary cameraman and a model for a photo spread. They were both in profile, jumping in midair, with the cameraman’s face obscured by his instrument of choice and the model looking directly into his lens. As Wintour reviewed the photo, her eyes landed on the man’s paunch. “It needs a little bit of retouching,” she said. She turned to the cameraman, Bob Richman, who was not remotely under her employ. “You need to go to the gym,” she told him. If there was a lesson to be gleaned from The September Issue, the 2009 documentary about the process of assembling the most important issue of the fashion bible that dictates and perpetuates Western beauty standards, it’s that the buck stops with Wintour. The buck still mostly stops with Wintour — except when the figure in question is Beyoncé. On one of Beyoncé’s two September issue covers, she sports her natural hair in cornrows. Her tiered strapless ruffle dress is by Alexander McQueen, in the colors of The Continent: red, black, green and yellow. Her arms are aloft, holding up a sheet that’s been hanging on a clothesline. Perhaps it doubles as a cape. On the other, Beyoncé sits in profile, practically side-eyeing the camera. A crown of flowers, not unlike those she used to festoon herself when she announced she was pregnant with twins, sits atop her head. Her white Gucci dress is fitted but flowing. She does not smile. The entire spread, styled by Vogue fashion director Tonne Goodman, is devoid of the glittery stage drag for which she is known. There is not a leotard in sight. Some may see her insistence on providing her own words, without the window dressing of descriptive narrative by a writer from the magazine as overly controlling and needlessly fussy. But the revelations brought forth by Beyoncé’s latest Vogue cover prompt a question or two. We’re talking about a publication that never, in its 126-year history, had hired a black person to shoot its cover image. Why exactly should they be trusted with the story? Beyoncé used the editorial control she negotiated to politely chide the fashion bible and the magazine industry as a whole. 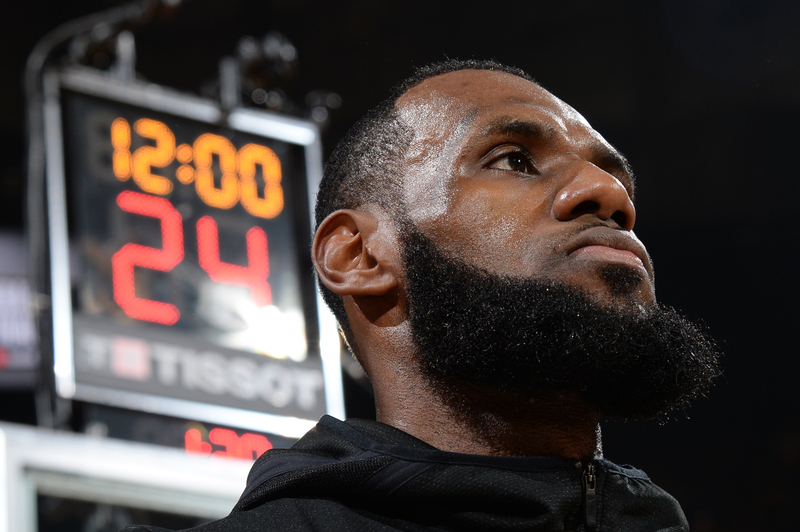 LeBron James has used professional basketball to turn himself into a builder of schools, producer of films and television, and tweaker of presidential egos. So much of what black celebrities do is dictated by who actually has control. Plenty of them have used their visibility and relative fortunes to call for or bring about social change. But such measures have almost always been characterized by sacrifice and duress. The history of black American celebrity is littered with the broken careers of those who dared speak up. The State Department declined to issue Paul Robeson a passport because he refused to say he wasn’t a member of the Communist Party. Eartha Kitt became a pariah after she made Lady Bird Johnson feel bad. Harry Belafonte gave away huge portions of his income to bankroll the civil rights movement. Muhammad Ali couldn’t get a boxing license after protesting the Vietnam War. Mahmoud Abdul-Rauf was ostracized after refusing to stand for the national anthem in 1996. Nina Simone went broke singing songs affirming black people’s basic humanity. But Bron and Bey are making a different reality. Is this what it looks like when black people have power, respect, and f— you money? Bey receives near universal praise for being a mouthy cover girl who sends girls to college and brings the Dixie Chicks back to the CMAs. James uses professional basketball to turn himself into a builder of schools, producer of films and television, and tweaker of presidential egos. James’ latest feat of expert trolling involves a new three-part documentary he’s producing for Showtime. The name? Shut up and Dribble. Who needs middle fingers when you have a production company? They can’t solve everything. Bron can’t hire Colin Kaepernick to be a quarterback. Bey doesn’t control the board of Condé Nast. But that doesn’t mean that their actions are insignificant. To the contrary. They’ve both amassed enormous sums of social capital and now they are spending it on black people, and they’re not being shy about it. James just put his money toward a public school for at-risk students rather than a charter one. I PROMISE, funded in part by James’ foundation, provides uniforms, breakfast, lunch and snacks, transportation, bicycles and helmets to students free of charge. It also provides access to a food pantry for student families and free tuition at the University of Akron for any student who graduates. It’s fascinating to watch Bron, 33, and Bey, 36, work through their awareness of their stature in society and what it allows them to do. They both have a curiosity about the state of the world and about black people that supersedes concerns about making or losing money. Continuing the tradition of decades’ worth of hip-hop artists who preceded them, they obliterate traditional distinctions between high and low culture without explanation or apology. LeBron wears Thom Browne to the NBA Finals. Beyoncé shot a rap video with her husband in the Louvre and punctuated it with Marie-Guillemine Benoist’s Portrait of a Negress, a metonym for emancipated black women. But perhaps most significantly, whatever backlash James and Beyoncé may face for being publicly, unapologetically, politically black is in the minority. They are continuing to shape what’s considered mainstream. And that’s huge. Just four years ago, Northeastern University professor Sarah Jackson published a book about all of the ways black celebrities are muzzled entitled Black Celebrity, Racial Politics, and the Press. In creating ways to express themselves, Bey and Bron are like a couple of ballsy studio heads, using their behemoth standing to champion obscure, interesting artists instead of simply chasing the next big paycheck. The result is that a 23-year-old just out of school becomes the first black photographer to shoot the cover of Vogue. The result is that James may end up starring in a Space Jam 2 directed by the fantastical arthouse auteur Terence Nance. The result is a limited series for Netflix starring Octavia Spencer as Madam C.J. Walker and a Starz docuseries about poor kids in Miami growing up just like LeBron. The result is tears during the black national anthem at Coachella, because really, who else was going to do it? The height of celebrity used to be defined by one’s ability to break the internet.